If the phrase “male a cappella group” conjures up an image of students in blue blazers, ties, and khakis singing traditional college songs on ivied campuses... think again. Straight No Chaser (SNC) is neither strait-laced nor straight-faced, but neither are they vaudeville-style kitsch. They have emerged as a phenomenon with a massive fanbase, numerous national TV appearances and proven success with CD releases. 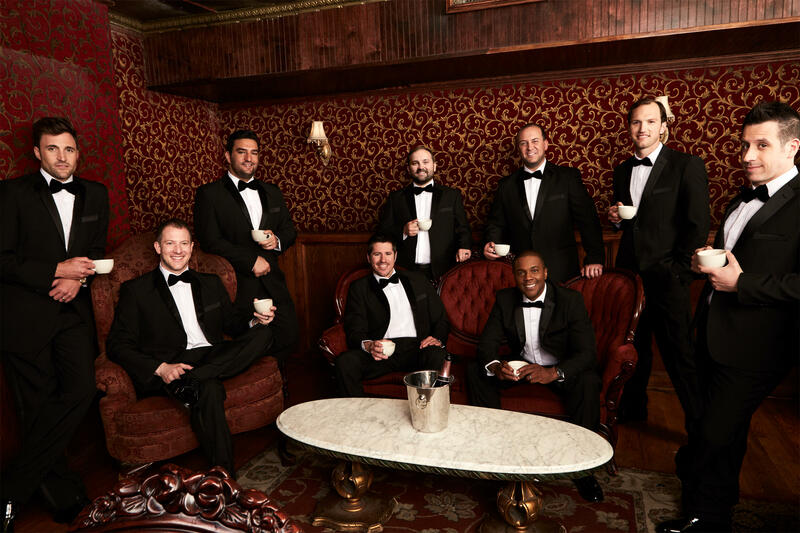 Reinventing the idea of a cappella on the modern pop landscape, Straight No Chaser is the captivating sound of nine unadulterated human voices coming together to make extraordinary music that is moving people in a fundamental sense... and with a sense of humor. On the road, Straight No Chaser has built a reputation as an unforgettable live act.